Jo Walton wrote, “There’s a sunrise and a sunset every single day, and they’re absolutely free. Don’t miss so many of them.” Kathy Doyle of McGregor submitted the can’t-miss photo entitled “Sunrise at the Peak” as the winning entry for Alpine Communications’ recent directory cover photo contest. Kathy, an avid nature photographer, captured the shot at Pike’s Peak State Park in McGregor. 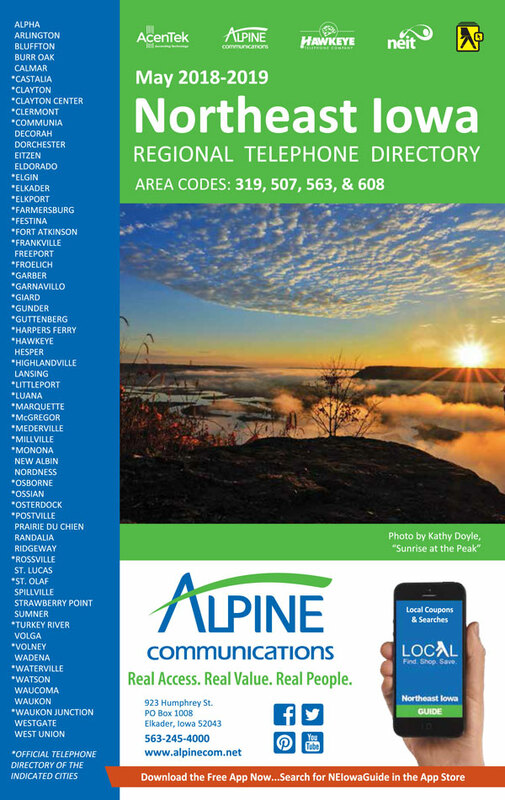 Alpine Communications featured Doyle’s awe-inspiring shot on the cover of the 2018-2019 Northeast Iowa Regional Directory which is now arriving to residents throughout Northeast Iowa. As a reward, Doyle also received an Alpine gift certificate valued at $50.00. Alpine Communications thanks everyone who took part in their annual contest. 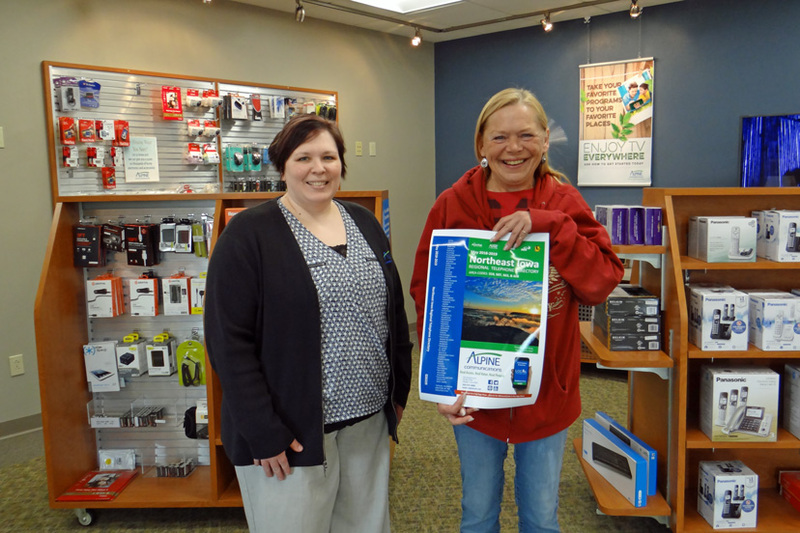 We received 65 entries from customers all over Alpine’s service area depicting the beauty, natural resources, and talent of many local photographers of all ages. Each contestant received a 5×7 copy of their photograph. Visit Alpine’s Facebook page at www.facebook.com/AlpineCommunications to view all the stunning images submitted this year. Pictured: Lanette Schutte, Alpine Communications and Kathy Doyle of McGregor, Iowa.